Ghostbusters 3 is the white whale of virtually all of generations X and Y (and some of the other generations too). It's been thirty years since the original film decimated Manhattan with acres of marshmallow, and taught the pubescent masses that even the geekiest of us can get laid - so long as everyone’s possessed by demon guard dogs. Shortly following the irreproducible original there was a single sequel, and about the possibility of a Ghostbusters 3 there has been enough speculation and gossip to fill the pages of the entire screenplay - which has been written, (allegedly) shredded by one of the stars, and then written again. Now Ghostbusters franchise co-writer and star Dan Aykroyd has come out to say that not only is the third film definitely happening, but there is also should be an entire Marvel-style universe built around the franchise. "My whole thinking on Ghostbusters now is it's beyond just a sequel, a prequel, another movie, another TV Show. I'm thinking now, what does the whole brand mean to Sony? What's Pixar and Star Wars mean to Disney? What does Marvel mean to Fox? Everybody, all of us on the team there now, the executives, the creatives, myself, Ivan (Reitman), we're thinking more in terms of what do we build this thing into in the next ten years? Just not another movie or another TV show, but what's the totality of it? What's the whole mythology from the beginning of their lives to the end of their lives? Ghostbusters at 9-years-old, Ghostbusters in high school." ...Because there’s clearly as much Ghostbusters mythos as there is in the entire Marvel universe. It’s hard not to see all of this as bluster. We’ve been at this rodeo before. The speculation about the third film has become an engine all it’s own, with each of the stars and directors throwing their two cents in from time to time to keep the thing running. At one point it was decided that the cast for the new movie would be made up of Columbia Students, and just a matter of weeks ago it was announced that the cast could be all ladies. At another point it was reported that Aykroyd and fellow screenwriter/actor Harold Ramis wrote a script for Ghostbusters 3 that was so terrible Bill Murray shredded it. Upon Ramis’ death, fans were quickly mollified that this in no way stopped the production of the film (which was set to start filming in 2014, and then set to start filming in 2015), despite also losing original director Ivan Reitman (who, to clarify, is still onboard to produce the still-theoretical Ghostbusters 3). At another juncture it was announced that Murray would definitely not be starring in Ghostbusters 3, and then that he had even abrogated his rights to any ownership or involvement in the third installment... though he kind of kept on talking about the project, anyway. 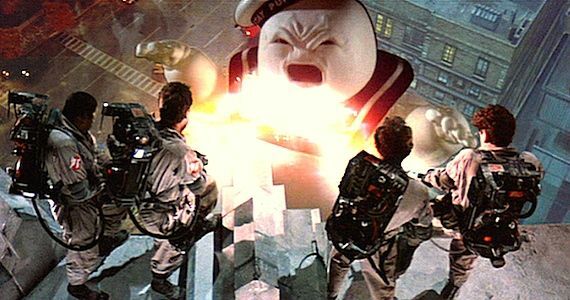 The original Ghostbusters film is, for many people, a comedy masterpiece, no questions about it. The movie is one of Murray’s finest performance as well as Ramis’ and Aykroyd's. The film gave the mainstream Ernie Hudson, Annie Potts, Rick Moranis and solidified Sigourney Weaver as the most badass, awesome woman of the '80s. Ghostbusters 2 was fun, something of a distant cousin to the first; an echo of it, but still a lovely reminder. The question is, at this point, do we really need a third film (especially one that, at this point, has to be a reboot of sorts)? After thirty years, why not let the original just shine for itself. It's still amazing. Ghostbusters 3 has no official director, production date, or release. Ghostbusters the original is available on Netflix.